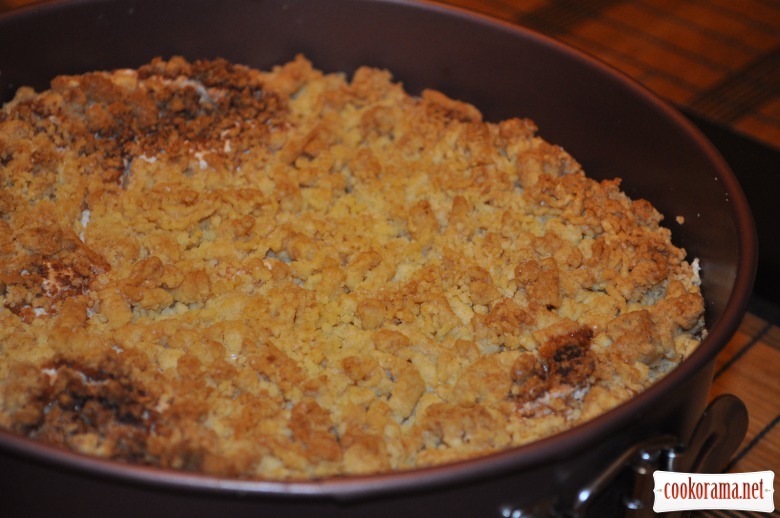 I took the recipe from cookbook «Cooking Secrets of sister Olga,» but a bit changed it. 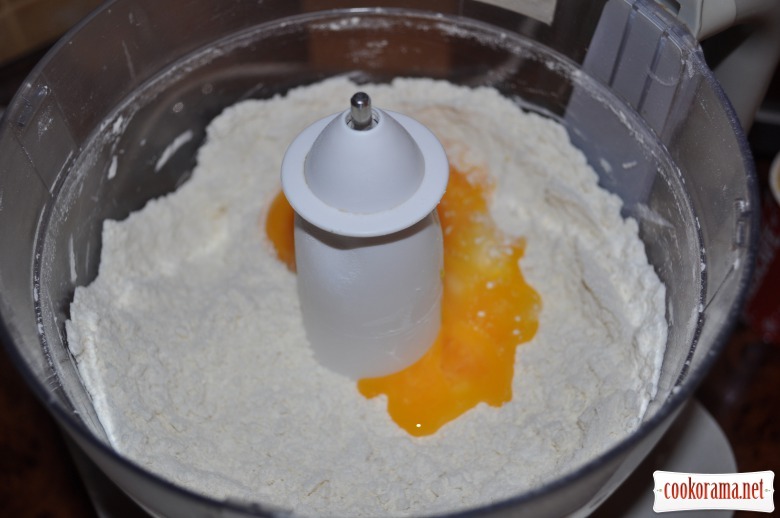 All components for dough: flour, sugar, baking powder, cold margarine and egg yolks grind in a food processor. I got crumb. You can leave so, or you can add a spoonful of water to get dough. 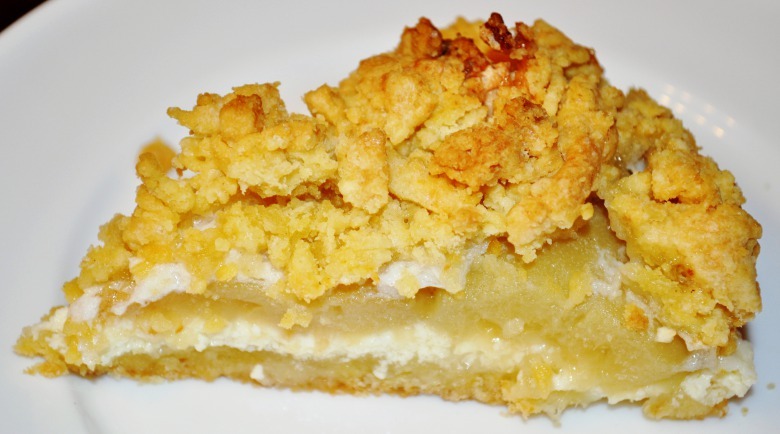 Put half of dough or crumb in the fridge. 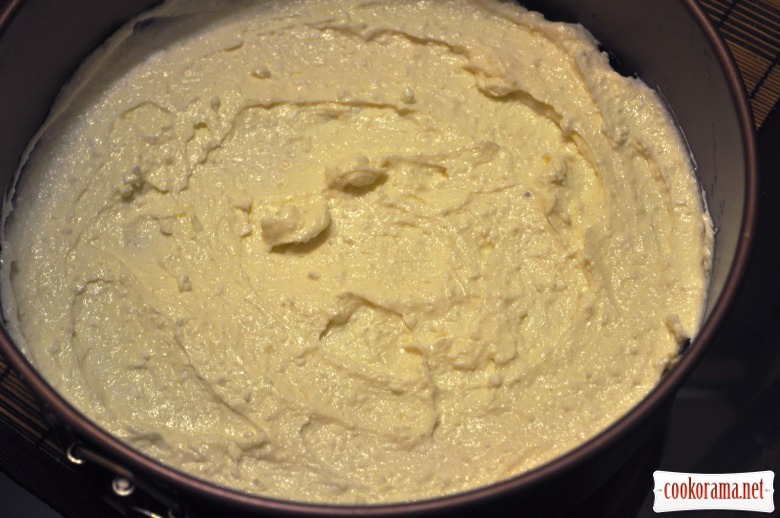 Grind curd in blender, add sugar, yolks (in original recipe also 125 g of softened butter). 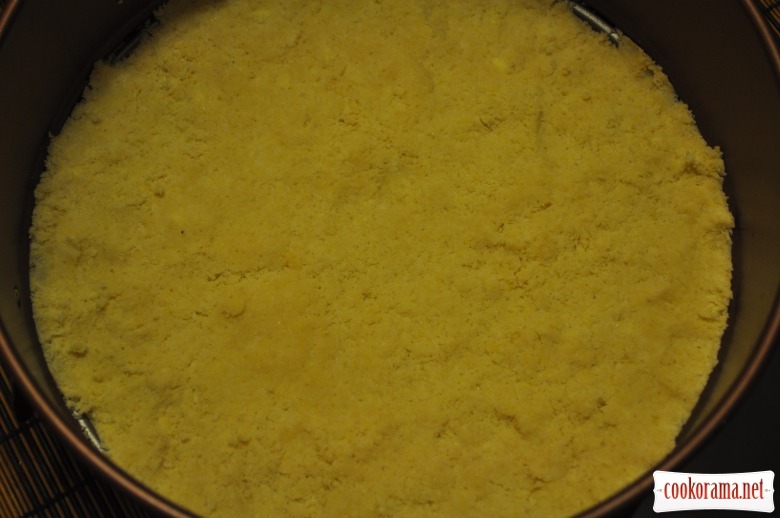 Then stir with semolina and starch. 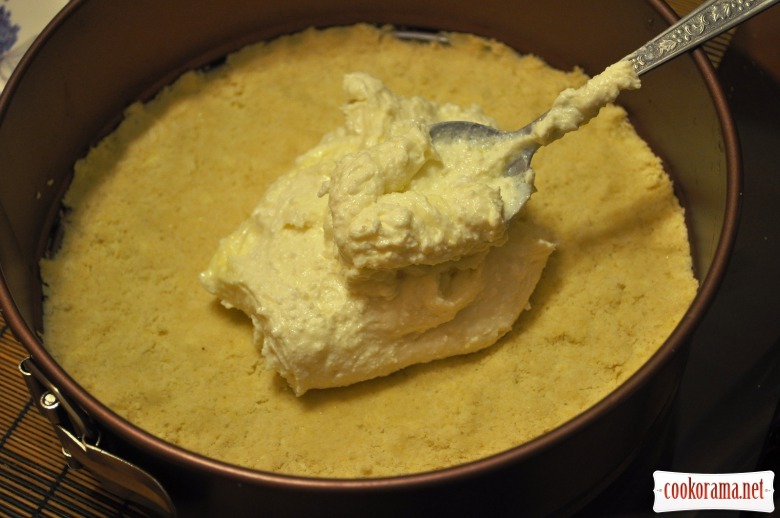 Mix whites with sugar into thick foam as for meringue. 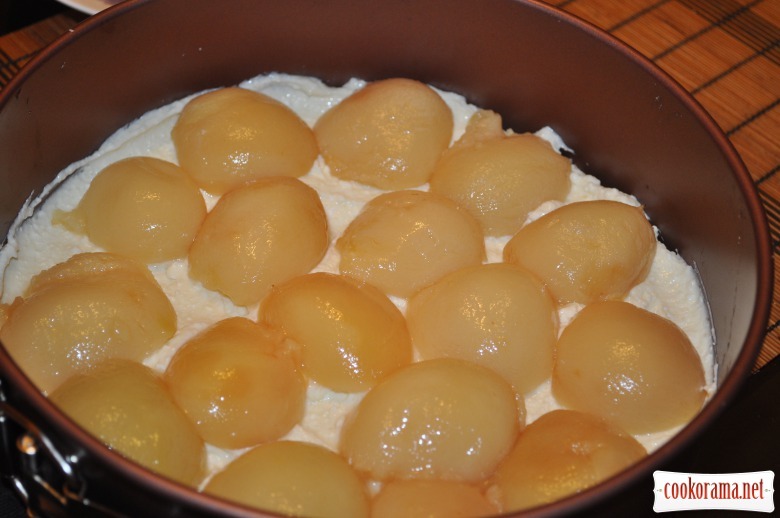 Spread dough in split form, next spread layer of curd mass, then peaches, which previously are well drained, white mass and sprinkle with dough from the refrigerator. Bake for 45-60 min at 180℃. 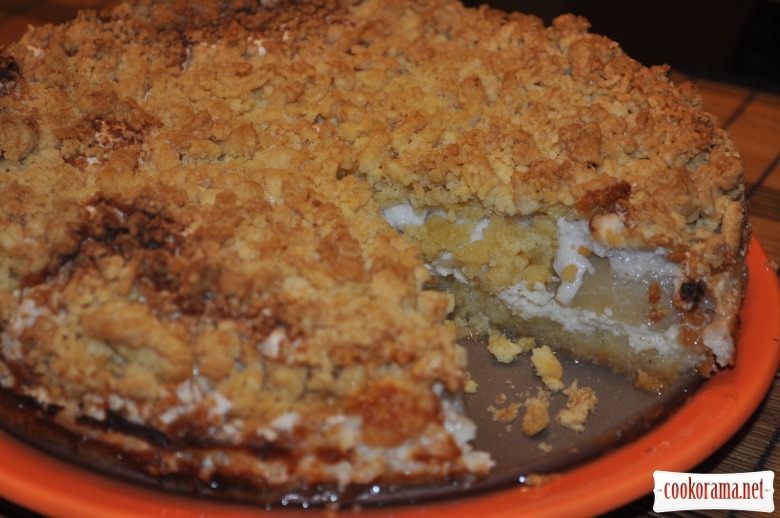 Top of recipe "Cheesecake "Good""
Apple cheesecake "Hit or miss"
Recipes, Pies and tarts with salty filling, Cheesecake "Good"